On Sunday, August 3, 2014, I had the pleasure of attending the End of Summer Event for Precious Pearls of Promise (3Ps). Precious Pearls of Promise is a non-profit organization created to help develop young girls ages14 – 18 into young ladies that carry themselves in a healthy, respectful manner at all times. The second group served are young ladies age 19-24 that need further guidance in becoming the women that they want to be. 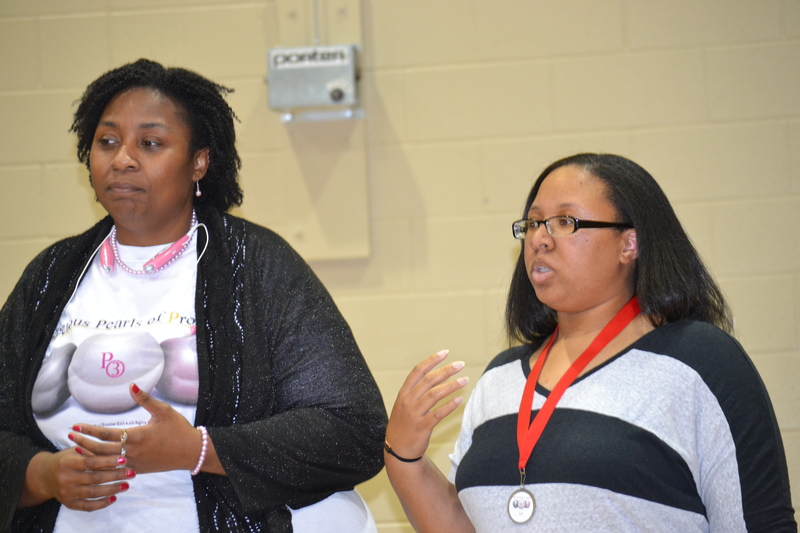 The organization was founded by Tamika D. Holmes and T. Marie King. A top priority for the founders, is to build self esteem among the program participants, instill the spirit of team building and connect them with leaders in the community to serve as mentors. Speaking of mentors, volunteer Janis Evans was on hand for the occasion as well as 3Ps friend and mentor Author Sharon Williams. The girls had an obvious affection for the 3Ps founders, Tamika D. Holmes and T. Marie King. The next 3Ps meeting will be August 23 and clearly by the actions of the girls, that is just too long to be away from Holmes and King. As for talent, for sure, there is no shortage of talent among the participants that I met on Sunday. Among them are athletes, writers, poets, artists, singers, dancers and that’s only the talent that they have tapped into thus far. I’m sure there is more to be discovered. We all broke bread together and enjoyed a spaghetti dinner complete with salad, dinner rolls, sweet tea,lemonade and topped it all off with cupcakes for desert. Two of the 3P participants were given well deserved awards for Leadership and Team Building while all of the other participants cheered them on in a united show of pride and support. As I broke down each word in the name of this organization, Merriam-Webster Dictionary’s definition struck me the most: too valuable or important to be wasted or used carelessly. I thought that definition was so appropriate to share with young girls and women everywhere. Even more so, it applied generously to the girls of Precious Pearls of Promise. If you know of a girl or young lady that would greatly benefit from being a part of such a wonderful organization, you can print and pass along an application packet to them. 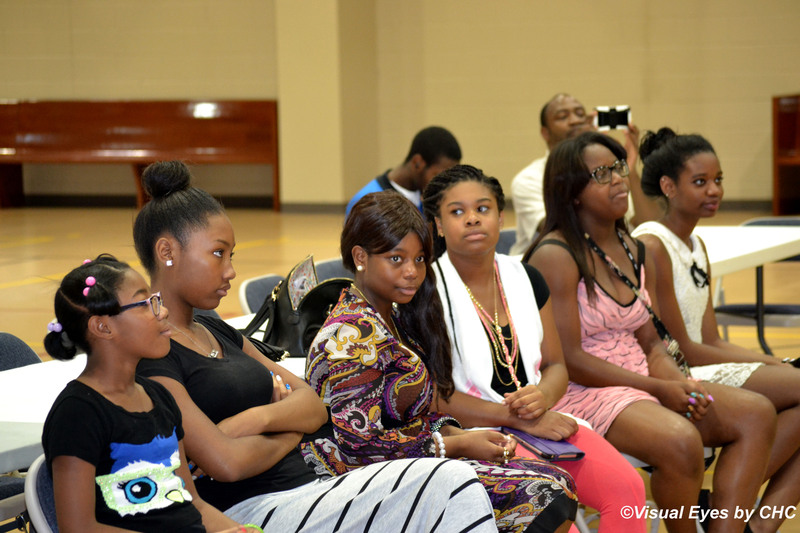 For more information on Precious Pearls of Promise, contact them at (205) 586-0740. Tamika D. Holmes has a B.S. in Business Administration, a double Master in Business Administration, one with a concentration in Human Resource Management, and Graduate Certification in Human Resource Management. She specializes in career education and career development. It is through her compassion, experience, integrity, and hard work she follow the passionate field of Career Education, Career Development, and Human Resources. With over 20 years in customer service experience, 6 years of management and human resource management experience, and 6 years of project management experience Tamika has a creative and zealous desire to help clients and consultants with their career and educational needs. expertise providing an inept knowledge for educating the community. Tamika is a member of Society for Human Resource Management (SHRM) and Birmingham Society for Human Resource Management (BSHRM). T. Marie King obtained has a B.A. degree in Urban and Global Economic Development from Beulah Heights University (2006) a Masters of Arts in Leadership (2008) and a Masters of Divinity from Luther Rice University (2013). King is a 2011 graduate of the Alabama Organizing Project, Grassroots Leadership Development Program and former Co-Chair of the Alabama Humanities Foundation Junior Board. King serves on various Education-focused committees with Alabama Public Television and will serve as Leading Edge Institute’s Director of Summer Institute. 200 plus kids in the Woodlawn and surrounding areas. King also worked with local colleges as guest lecturer and panelist for a variety of programs that addressed poverty, race, community outreach and mentoring youth.